Verifying whether an ω-regular property is satisfied by a finite-state system is a core problem in model checking. Standard techniques build an automaton with the complementary language, compute its product with the system, and then check for emptiness. Generalized symbolic trajectory evaluation (GSTE) has been recently proposed as an alternative approach, extending the computationally efficient symbolic trajectory evaluation (STE) to general ω-regular properties. 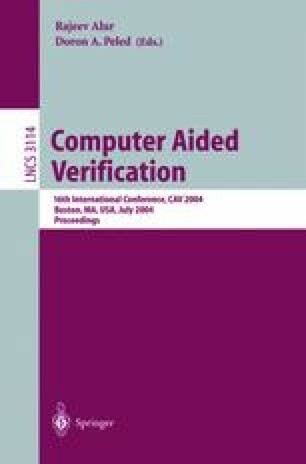 In this paper, we show that the GSTE algorithms are essentially a partitioned version of standard symbolic model-checking (SMC) algorithms, where the partitioning is driven by the property under verification. We export this technique of property-driven partitioning to SMC and show that it typically does speed up SMC algorithms.